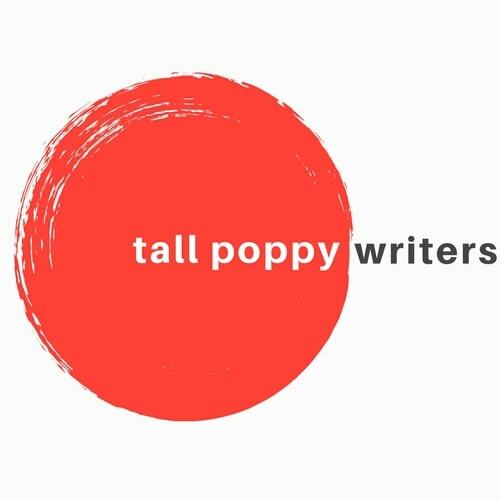 Hi Tall Poppy Readers! 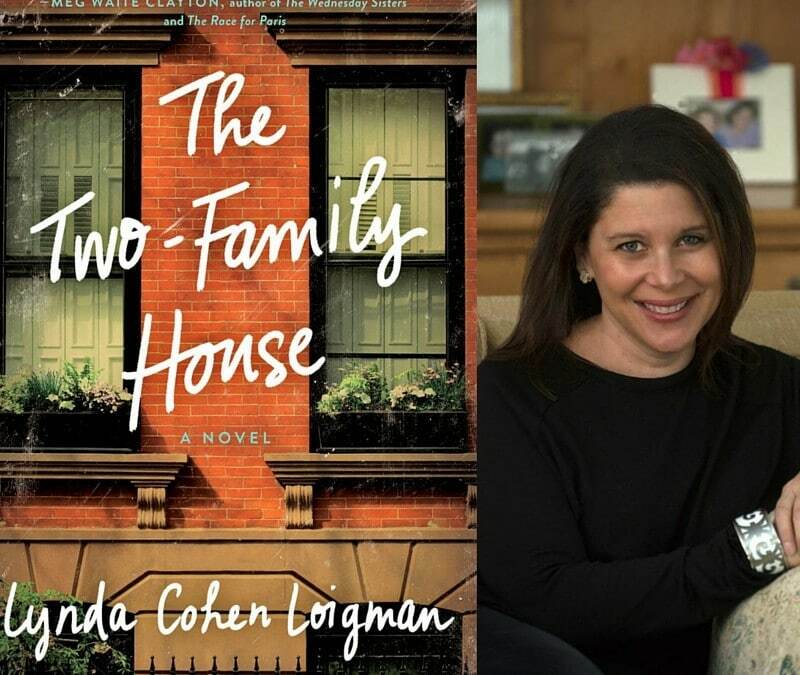 Join us in congratulating our new Poppy, Lynda Cohen Loigman, on the launch of her debut novel, THE TWO-FAMILY HOUSE. Find it in bookstores everywhere! When the storm passes, life seems to return to normal; but as the years progress, small cracks start to appear and the once deep friendship between the two women begins to unravel. No one knows why, and no one can stop it. One misguided choice; one moment of tragedy. Heartbreak wars with happiness and almost, but not quite, wins. Doesn’t that sound amazing? Lynda stopped by to chat. When I was ten years old, my mother gave me her copy of A Tree Grows in Brooklyn. There was a homemade pocket glued to the first page – like the kind in a library book – and my mother’s name was written on the card. I knew she must have cherished that book, because it was one of the few mementos she saved from her own Brooklyn childhood. When I first read A Tree Grows in Brooklyn, I felt connected to the main character for the most obvious of reasons – Francie was a young girl who loved to read, and so was I. But there was so much more about the book to love. There was Brooklyn, in all its messy glory – a place made even more magical for me because I knew my mother had once lived there. There was the food – from Francie’s trips to the candy store, to the fried meatballs her mother makes out of a penny’s worth of meat and a loaf of stale bread. There was Francie’s father’s job description – freelance singing waiter – a position so intriguing to me that I hoped to become one. And there was Francie’s mother, who made sure to read her children a page of Shakespeare every night, even though she had no idea what the words meant. No other book I knew offered the same vivid characters or richness of setting. I must have read it fifty times. All these years later, A Tree Grows in Brooklyn still calls to me. It is no small coincidence that my own novel is set in Brooklyn, though many years later, and with a Jewish family instead of an Irish one. Betty Smith’s beautiful novel will always have a place on my bookshelf. It is a story I will never outgrow. Tell us a secret about a main character in your novel – something that’s not even in your book. Judith is the oldest of Rose’s daughters, and the only child present on the snowy night the babies are born. It is from Judith’s twelve-year old viewpoint that we see that night evolve. The secret about Judith is that her name was originally Ruth. She was Ruth right up until we were ready to send the manuscript out to editors. At that point, I realized it might be confusing for Ruth and Rose to have such similar, monosyllabic names, especially because they were mother and daughter. Ruth and Rose, Rose and Ruth – even I was starting to mix them up! As my agent so nicely put it, it would be a “kindness to the reader” to give Ruth a different name. When I settled on Judith, I used the search and replace feature in Word to change the name wherever it appeared. The unintended result was that the word “truth” was replaced throughout the manuscript with the word “tJudith.” I still sometimes refer to Judith as tJudith, just for fun. I am so thrilled with my cover! This is my first book, so I had no idea how the cover process worked. One morning an email from my editor showed up in my inbox, and there it was. I was in shock because I hadn’t been expecting it, but it was love at first sight. I had been hoping the designers would choose a picture of a brownstone, and that is exactly what they did. I’m not sure I can adequately describe the significance of that moment, but I know that seeing the cover for the first time made everything real for me in a way I had not felt previously. I’m a worrier, so even after my contract was signed and all of the pieces were falling into place, there was still a part of me that couldn’t believe my book was going to be published. Seeing the cover finally convinced me. Talk about a fun/interesting reader interaction you’ve had. Honestly, every interaction is fun. As a new author, I haven’t met many readers in person yet, but I am hoping that will happen in the next few weeks and months. Right now, most of my contact has been through social media, and everyone has been unbelievably kind and supportive. I still find it mind-boggling to think that people I have never met are reading the words I wrote. Recently, I received two special emails – one from a woman in Tacoma, Washington, asking me for book club questions; and the other from a librarian near Syracuse, asking if I would do a Skype session with her book group. I love the idea that my book is travelling to places I haven’t yet visited myself. Share an embarrassing publishing-related story. The first time my agent called me, it was less than 48 hours after I sent her my manuscript. I emailed it to her at midnight (exhaustion gave me courage), and because she is so kind, she emailed me the next morning to let me know she had received it. The email said that she was in the middle of some things, but that she would get back to me as soon as possible. I was so thrilled to have received a response that I emailed her again to say thank you, and that I couldn’t wait to hear what she thought. I wish I had a name for the agonizing feeling of self-doubt and dread that arrives right after you hit send on an email you wish you could take back. Immediately after I sent it, I started worrying. It was an innocent enough thank you email. But I convinced myself that when my agent saw my name in her inbox again, she would think I was being too pushy. The next morning, my phone rang. My agent’s name appeared on my caller ID and I panicked. The first thought that popped into my head was that her assistant was calling to tell me to stop harassing her. I was convinced that the call would be the equivalent of a cease and desist order. Turns out, it wasn’t a scolding call from an assistant – it was my agent, telling me she had finished the manuscript and that she wanted to represent me. I’m sure I sounded like a complete idiot for the entire phone call. I can’t remember half of it, but I mumbled and giggled a lot. It was like getting asked to the prom by the most popular guy in school. I’m fairly certain that this little anecdote is representative of my publishing experience as a whole. I agonize and giggle like a goofy, overly excited teenager. I behave this way because I feel ridiculously lucky, and because I still can’t believe that at 47 years old, I’ve been given such an incredible opportunity. 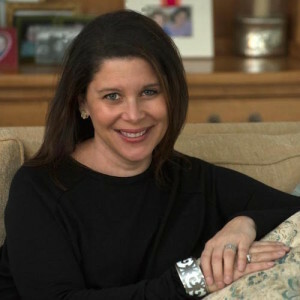 Lynda Cohen Loigman grew up in Longmeadow, Massachusetts. She received a B.A. in English and American Literature from Harvard College and a J.D. from Columbia Law School. She is now a student of the Writing Institute at Sarah Lawrence College, and lives with her husband and two children in New York. She is a failure at enforcing reasonable bedtimes. 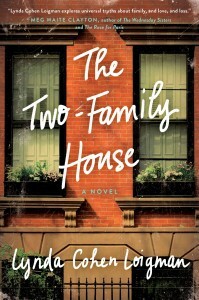 THE TWO-FAMILY HOUSE is her first novel.